While there are numerous threats to our oceans today, Rock The Ocean is focused on bringing attention to five main issues. Each of these 5 Core Issues has a detrimental impact on the health, vitality, and future state of the oceans, and they’re all things that we can make a personal effort to fix. Explore each issue below and learn how you can make a difference. Overfishing is defined as removing more fish from the ocean than the population can replace by natural reproduction. More than 30% of the world’s fisheries have been depleted with several fish populations declining to the point where the species’ survival is threatened. For example, blue fin tuna populations have decline by over 95%. 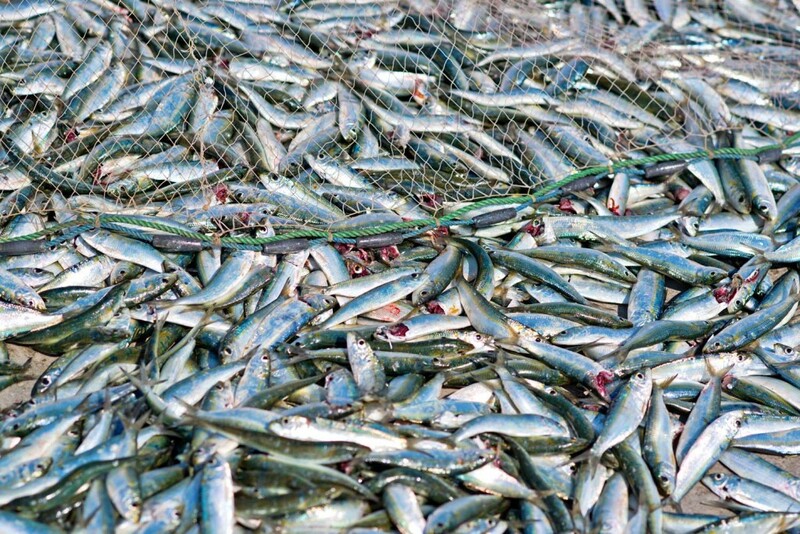 Destructive fishing practices could take fish off the menu by 2048. Strict & aggressive management plans are needed to restore populations before a potentially irreversible crisis affects our entire ocean ecosystem. Consumer awareness is key. 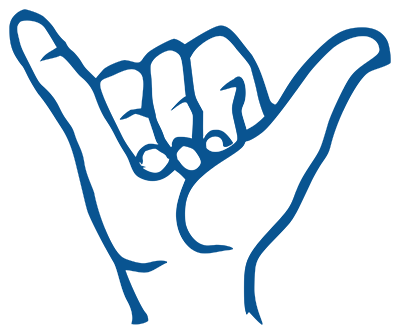 Educating consumers on sustainable seafood choices will impact fishing practices more quickly and thoroughly than governmental regulations. By downloading the SeafoodWatch App, you can help by making sustainable seafood choices. Up to 100 million sharks are killed by humans each year – largely to meet the demand for shark fin soup and shark liver oil. Sharks are an apex predator (similar to a lion in Africa) and regulate the populations of species below them in the food chain. Massive depletion of sharks has cascading effects on the ocean’s ecosystem. Sharks take decades to mature and produce few young. 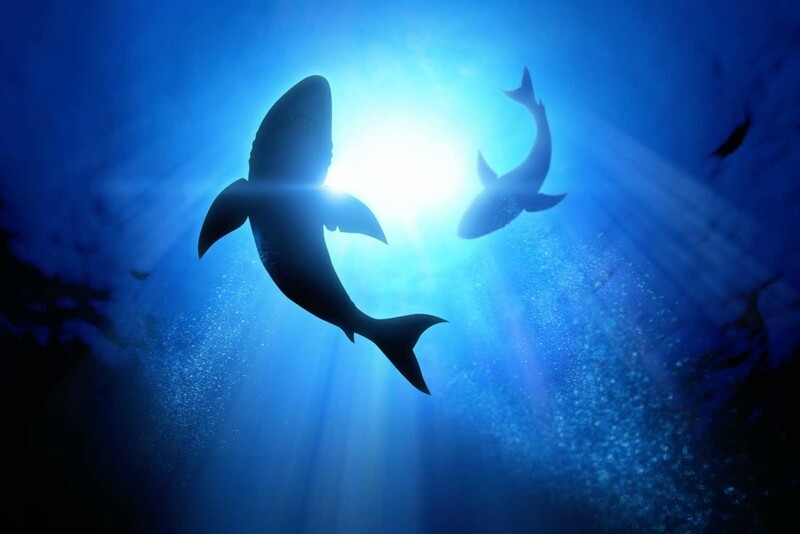 Sharks have been on Earth longer than almost any other animal – about 450 million years. Yet, irresponsible fishing practices and a slow re-population rate have resulted in 64 species of sharks being listed as endangered and put 1/3 of all oceanic shark species at risk of extinction. The world’s coral reefs are vital to the health of our oceans and are the most biologically rich and economically valuable ecosystems on Earth. Although they occupy less than one quarter of 1% of the marine environment, they are home to 25% of all marine life on the planet. Pollution, overfishing, bleaching due to increasing water temperature & other factors, and the introduction of invasive species are threatening the survival of our coral reefs. 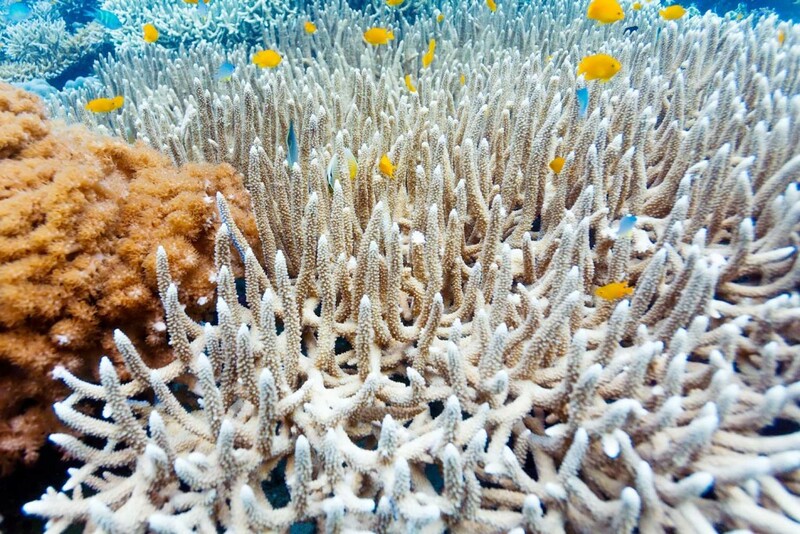 Approximately 27% of the world’s coral reefs are destroyed. At this rate, 60% of the world’s coral reefs are at risk of dying in the next 30 years. If you’re a boater be careful not to anchor your boat on a reef – this will kill it. If you’re a diver, don’t touch the reefs, just enjoy their beauty! The almost over-whelming amount of marine pollution today not only affects our oceans and EVERYTHING in them, but it has a big impact on our health too. 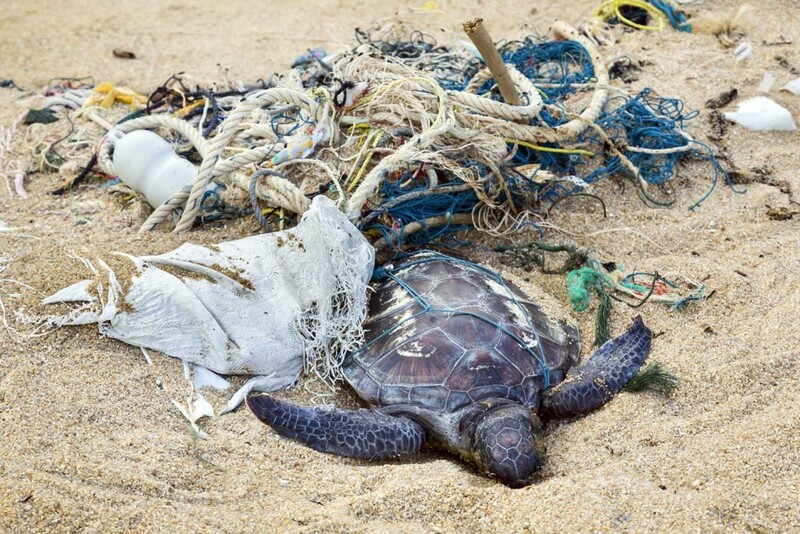 Approximately 1.4 billion pounds of trash enters the ocean each year. The acceleration of pollution in the ocean over the past few decades is causing vast changes in the ocean’s ecosystem and, as a result, marine life are dying. 80% of marine pollution comes from land-based activities. Oil spills are tragic for the marine environment, but account for only about 12% of oil entering the seas each year. Most oil pollution comes from drains and rivers as waste and runoff from cities and industry. Fertilizers from farms & lawns have caused algal blooms dissolving oxygen in the water and suffocating other marine life. This process, called eutrophication, has created enormous dead zones in several parts of the world. High concentrations of plastic, particularly plastic bags which can take up to 450 years to break down, have been found in the breathing passages and stomachs of whales, dolphins, seals, sharks, sea birds, fish, and sea turtles. Today, there is no place on Earth immune to this problem. It is estimated that 1% of sea turtle hatchlings survive to maturity. Although hatchlings must escape natural predators like birds and fish, their slim survival rates are due, in large part, to human impact. 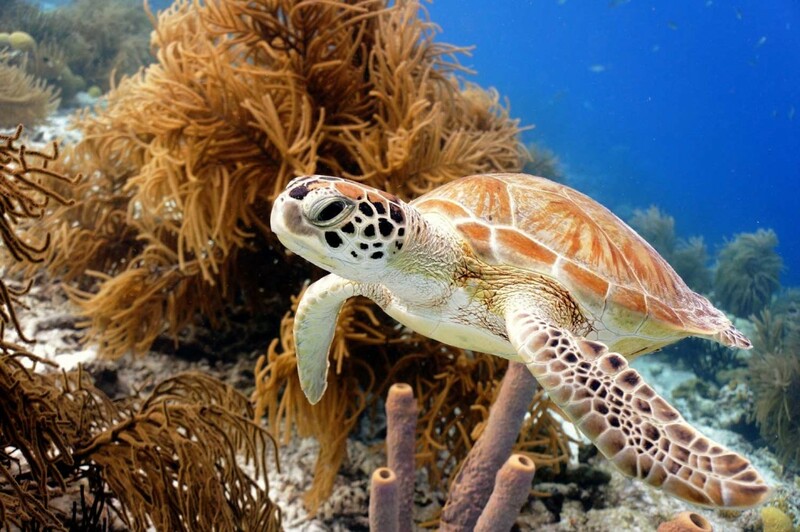 Habitat destruction, poor fishing practices, illegal poaching, artificial lighting along nesting beaches and polluting the ocean with debris that turtles ingest are all behaviors that can be changed to help sea turtles survive. Dimming beachfront lighting, protecting nesting sites, and educating the public on responsible boating are some of the many ways to help combat the problem.